It is with a great pleasure that we will welcome you on October 14th 2016 for a course devoted to a difficult subject: «Instability in shoulder arthroplasty». 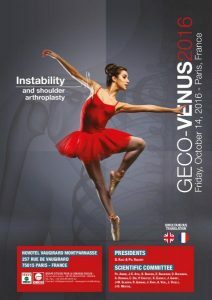 We will discuss the different causes of instability after hemiarthroplasty, total shoulder and reverse shoulder arthroplasty. The course format will be a diverse combination of lectures, mini-battles, relive surgeries and two invited special guest lectures from Dr. Robert Cofield and Dr. Mark Frankle, in order to come up with a consensus on the management of this challenging complication. The course will provide plenty of space for discussions which we hope will be both lively and instructive. 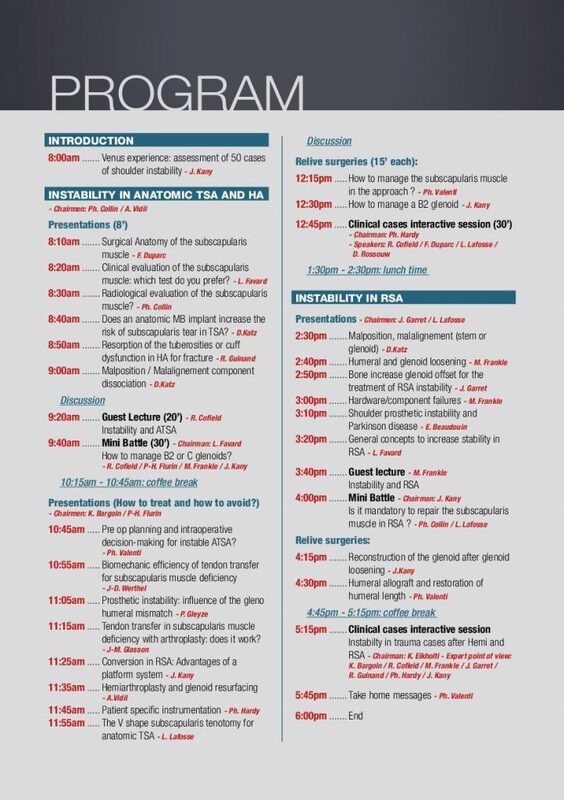 The day will finish with an interactive session of clinical cases on prosthetic instability in trauma surgery. We wish to thank all the participants who will join us and especially our international guests who honor us by their participation to this course.